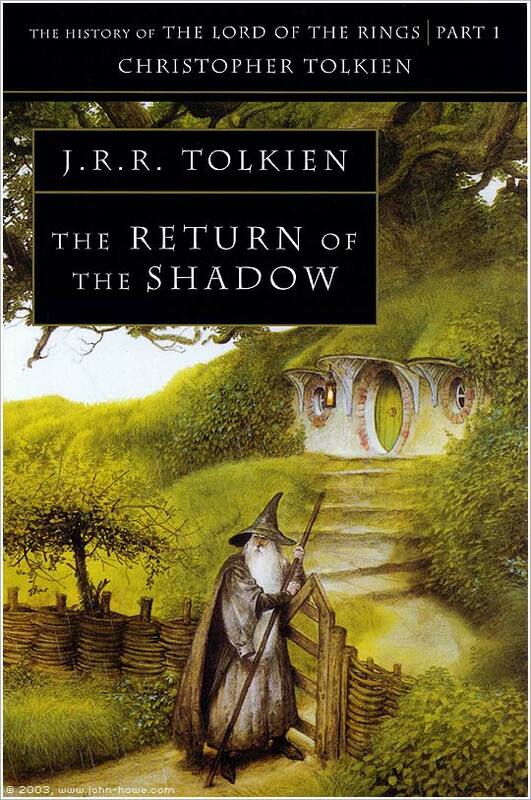 With the publication his epic story ‘The Lord of the Rings’ (LTR) in the mid-1950s, or more correctly the success of the US editions in the 1960s, J.R.R. Tolkien became the Fantasy author, and LTR the Fantasy series, against which all others were measured. Everything that came before, and much that came after, fell into insignificance or obscurity. In fact there were earlier and arguably better works in the Fantasy genre than Tolkien’s, and others that drew upon the same sources of inspiration as he did and with similar or sometimes superior results. After all Tolkien’s original aim when he began writing his legendarium (as it is now styled) was to recreate a mythology for the English people to rival those found with their Scandinavian and German cousins, and to take its place amongst the Celtic, Finnish and Greek myths in the imagination and culture of late 19th and early 20th century European civilization. Tolkien was in some senses an English nationalist, though largely not an imperialist, and he was in fact part of the same cultural movement of folk-consciousness and ethnicity that swept Europe in the 1800s and early 1900s, and that in Ireland led to the twin movements of the Gaelic Revival and the Celtic Renaissance (and eventual Revolution). Pádraig Mac Piarais and W.B. Yeats would have found much in common with Tolkien’s celebration of the multiplicity of European identity. However for J.R.R. Tolkien the greatest problem was the sheer lack of raw materials to build his English mythology upon. Writers in Ireland, Scotland, Wales and Brittany had a whole body of literature and folklore to draw from for inspiration in fiction, poetry and art. Similarly German, Danish, Finnish or Greek writers could likewise look to the past and find plenty of materials to inspire them. Unfortunately the English were not so lucky. The diverse nature of the Germanic immigrants to Romano-Celtic Britain (who in time were to become the English), the gradual conversion to Christianity, the Scandinavian-Danish invasions and conquests of the 10th and 11th centuries coupled with the Norman-French invasion and conquest of the 11th century, had rendered the idea of a distinctly English nation of England more of a modern political theory than a historic fact. “I was from early days grieved by the poverty of my own beloved country: it had no stories of its own (bound up with its tongue and soil), not of the quality that I sought, and found (as an ingredient) in legends of other lands. There was Greek, and Celtic, and Romance, Germanic, Scandinavian, and Finnish (which greatly affected me); but nothing English, save impoverished chap-book stuff. Of course there was and is all the Arthurian world, but powerful as it is, it is imperfectly naturalized, associated with the soil of Britain but not with English; and does not replace what I felt to be missing. For one thing its ‘faerie’ is too lavish, and fantastical, incoherent and repetitive. For another and more important thing: it is involved in, and explicitly contains the Christian religion. J.R.R. Tolkien then did not so much recreate but entirely invent a mythology for modern England, one drawn partly from the few scraps of legend that had survived amongst the English people but much more so from the mythologies of the Germanic near-relatives of the English, with borrowed bits and pieces from places as far apart as Germany and Iceland. Into this was thrown liberal doses of themes and ideas taken from Irish and Celtic Mythology (both of which Tolkien had a strange relationship with), as well as bits and pieces from Roman, Greek and Finnish myth (the latter of which had affected him deeply in his youth). This was not the work of one year, or one decade, but a lifetime, the lifetime of one man who through his imagination became many. What started out as one thing grew into something quite different as Tolkien’s imagined past of England (and Western Europe) outgrew his original inspirations. The side-results of this were stories that gave birth to books like the ‘Hobbit’, the ‘Lord of the Rings’, and the whole Middle-earth cycle that we are now so familiar with. This, in part, accounts for the air of verisimilitude that hangs over all of Tolkien’s works. All those maps, all those annals, all those languages, were not created simply as literary devices – to sell a book. They were real; they existed because Tolkien created them to flesh out the imaginary legendary past the English people were to have and which he spent decades creating. All of which rambling brings me to the point of this article. Why then, given all of the above, has it been necessary for so many other later authors, right up to the present day, to rummage around in Tolkien’s wardrobe, to steal his clothes, and then parade around in them pretending that they are their own? We know they are not yours, we can see they don’t fit you, and only the most idiotic amongst us is stupid enough to believe otherwise. Chief offenders (if for no other reason that they are the most successful) are Terry Brooks in his ‘Shannara’ series and Robert Jordan in his ‘Wheel of Time’ books. In the 1977 ‘Swords of Shannara’ Brooks took large chunks of the masterplan set by Tolkien in the Lord of the Rings (a group of diverse companions on a journey across a land beset by war from dark forces, one of whom is destined to overcome the enemy force), changed a few names, rearranged a few of the incidences and particulars of the story, but largely left everything else (including the characters) intact and then presented it as a new work of Fantasy. The book was clearly a Tolkien clone of the most outrageous kind and to add insult to injury the awfulness of his writing remains second to none – it isn’t even a well written rip-off. Respected Fantasy critic and writer Lin Carter described Brooks’ novel as ‘the single most cold-blooded, complete rip-off of another book that I have ever read’. Though Brooks moved away in later sequels from his LTR ‘inspired by’, he never strayed very far from the original route and his ‘Shannara’ books remain the worse examples of writers copying Tolkien without understanding Tolkien. A slightly less offensive transgressor is the late Robert Jordan, who in his never-ending ‘Wheel of Time’ books borrowed not just from Tolkien but pretty much every great (or more accurately successful) Fantasy or Sci-Fi epic out there (the ‘inspirations’ from Frank Herbert’s ‘Dune’ are obvious). Yet again, Jordan, by drawing so liberally from the ideas and concepts of others ended up bastardising those things, hammering rounds pegs into square holes with gay abandon – and not an ounce of good taste or literary ability. For many Jordan’s death came as a relief, not for an end to his seemingly limitless ability to clone other people’s imaginations, but a relief from seeing so many of his poorly written novels groaning on bookshop shelves – there must be dozens of the damn things, waiting like spiders to jump on any poor fanboy or girl foolish enough to stray too close. Of course the whole setting of High Fantasy (to use the awful phrase popularised by L. Sprague de Camp and other Californian based Fantasy writers in the 1970s) has now become so firmly set in stone it is very hard to break free of it. Even slightly more talented, and imaginative, writers like David Eddings, Terry Goodkind and Raymond Feist followed more or less the same templates set out by Tolkien, while completely failing to understand why those templates were there in the first place. Elves, dwarves, goblins, wizards, witches humans and halflings, mysterious lands and lost cities have become the stock of the Fantasy genre. Of course they’ve always been there. Our very own Anglo-Irish aristocrat Lord Dunsany was doing it long before Tolkien, as was William Morris, George MacDonald and others. Even (self-proclaimed) Irish-American writer Robert E. Howard was doing it with his Conan stories. All served as inspirations for Tolkien, so it wasn’t a case of reinventing the wheel. However the difference is that Tolkien went back to the source materials, with a specific purpose and a specific respect. He set out to create a mythology for England on par with that of Ireland or Greece, but instead his mythology outgrew his imagination and became a free standing body of legends in its own right. Yet the primeval inspirations are there, free to see. Tolkien’s Elves are not those of the likes of Brooks or Jordan. They are closer to the originals of European history and legend: the Vanir and Aesir of Scandinavian Mythology, the Tuatha Dé Danann and Aos Sí of Irish Mythology. Yet, as more and more writers look to Tolkien and his successors for inspiration the result is ever weaker clones of the original, like faded photocopies of some earlier work, copied over and over again until the original is lost and all we are left with is a meaningless grey smudge. If I want to read about High Elves and Longbeard Dwarves, or Little People or Talking Tress, I’ll turn to the ‘Hobbit’ of the ‘Lord of the Rings’. If I want mysterious sisterhoods of witches I’ll try ‘Dune’ (or even Andre Norton’s’ ‘Witch World’ books). But otherwise, authors and publishers try a little more imagination and little less inspiration. ‘The problem with JRR Tolkien’s ‘new mythology’ is that whole chunks of it, along with much of the ‘feel’ and ‘spirit’ of his legendarium, was lifted straight from Irish Mythology and Folklore, despite Tolkien’s many strident denials. And I say this as someone who would class himself as a ‘fan’ (though, obviously, not an uncritical one). Tolkien, like most British people of his era, had something of a love/hate relationship with Ireland. He visited the country several times while working as an external examiner with various Irish universities, yet he never freed himself from the mixed feelings of prejudice and assumed superiority that has forever plagued Irish-British relations. On one hand he had a sort of paternal condescension for the Irish people (or at least some of them, as he darkly intoned) but this was coupled with some very odd views about the inherently evil nature of the island of Ireland – which by implication permeated some of its inhabitants. Perhaps it was the natural outcome of the ‘Little Englander’ in Tolkien that was unable to reconcile Ireland’s former position as a colonial possession of the United Kingdom with the independence gained through revolution in the period from 1916-1923 (and beyond). Some British people still find that galling even now.